Every month here on timtopham.com, we aim to provide you with the best creative teaching approaches to enhance your students’ learning experience. One way to do this is by embracing technology in your studio. Today’s post will highlight some of the best ear training apps you can use in your studio, as recommended by members of Tim’s Inner Circle. If you aren’t already using an iPad or another tablet in your teaching, you should seriously consider doing so. Modern students are bombarded with commitments at school and through the many extra-curricular activities they are doing. Make sure learning music is one of their main priorities by getting creative, and engaging them with technology. Here are some of the best ear training apps you can adapt to your teaching, to ensure your students are having fun. Are you after some more innovative and creative ways to use technology in your studio? Make sure you read Tim’s most popular blog post, Best iPad Apps for Piano Teachers. The aural training app that actually listens to a student’s singing and critiques them according to their pitch and rhythm. This is basically an artificial intelligence music teacher. The voices and sounds are a little clunky but this is a huge improvement on anything else. It’s already set up with all the requirements for ABRSM and AMEB exam systems, grade-by-grade. This is an absolute must-have for exam teachers around the world. 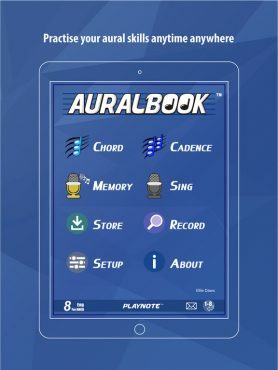 Read more about how you can use AuralBook in your studio by clicking here. An iPad screenshot of the AuralBook app, sourced from iTunes App Store. This one of our favourite ear training apps. Ear Master not only tests students on things like rhythm, intervals, pitch and progressions but can also be used to help students with syncopation, hemiola, triads, scale degrees, etc. It really is an all-round musicianship app that every music teacher should have. You can use Ear Master on your PC, Mac or iPad and is a fantastic resource to use with your students. It allows you to keep ongoing statistics, so you can monitor your progress. Certainly worth a look! 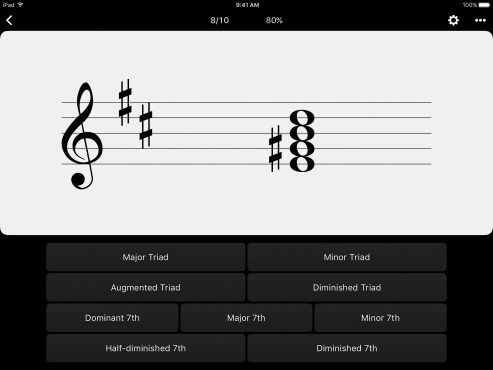 This app comes from the team at musictheory.net. Tenuto is a great ear training app for recognising chords and intervals on a keyboard. A great feature of this app is that it actually will show you how everything looks on a keyboard. It’s easy to use, has good functionality and would be another handy inclusion to your studio technology. This app also includes musical calculators, great for helping your students get their heads around intervals, chords and other musical concepts. For more information, please click here. Ear training apps and other music theory apps can sometimes be daunting for your younger students. 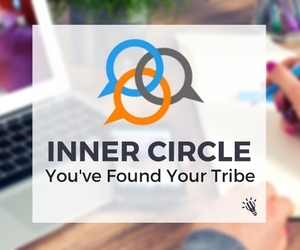 If you find yourself in that situation, then this could be the app for you. With its friendly graphics and game-like feel, Easy Music is a great option for engaging your young students with music theory. Whether its recognising notes, chords pitch or rhythm, Easy Music will help your beginner students become confident listeners. goodEar actually has four different ear training apps you can use, so your students will never get bored. Their apps are split into four musical categories: scales, melodies, chords and intervals. The apps are designed for musicians of any ability, ranging right from beginners to professionals. This could be a good option for those students who don’t come to class prepared! Meludia is a fantastic platform for helping musicians master a whole range of skills. Their website claims to have over 600 listening exercise examples, so there will surely be something to suit all of your students. One of the great features of Meludia is that your students can work independently from home or school on their musical skills. Meanwhile, you will actually be able to monitor their progress. Using ear training apps are one way to make aural training more engaging, but there are plenty more. If you are you struggling to get your students to engage with aural training activities and are looking for creative ways to make aural training fun, then why not join us for our free live webinar on Friday morning Melbourne time? Tim will be joined by ear training and online music teaching expert Christopher Sutton from Musical U to share with you some of the best ways to teach aural skills. Make aural training fun and relevant for your students. Why is aural training important? The different types of aural training and how ear training can help your students in other areas of their music studies. How solfa can help students to play by ear and the difference between fixed and movable do solfa systems. The realities of aural development in lessons. What aural training currently looks like in many studios, why it doesn’t work and how it can be improved. What about aural practice at home? Ideally you want students to practice these skills at home. How can we do that, and can technology help? How can we make aural more engaging? 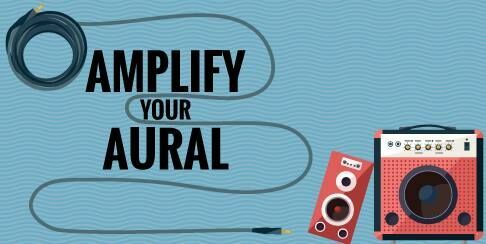 A whole lot of activities and ideas that you can use to make aural work more engaging in your studio. How do fun activities connect with exam tests? If your students do exams, you may wonder if these activities will prepare them. We’ll show you how they connect. Click on the button now to save your seat. A replay will be available, but you will need to be registered to see it. Sean is one of Tim's former students and a University of Melbourne graduate. He studied a Bachelor of Arts, majoring Media and Communications and Italian, and is currently working as a journalist for the ABC in Horsham.